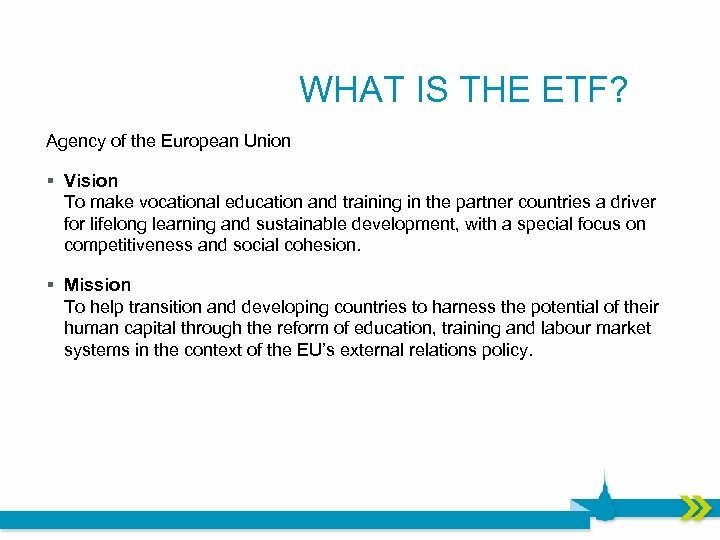 WHAT IS THE ETF? 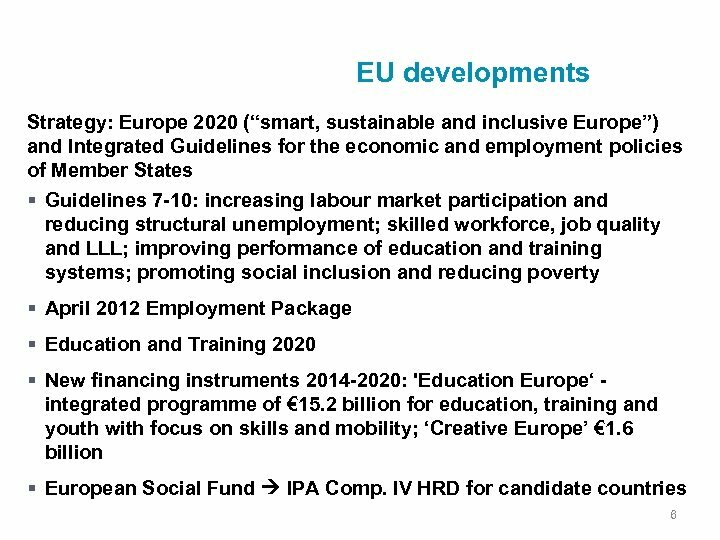 Agency of the European Union § Vision To make vocational education and training in the partner countries a driver for lifelong learning and sustainable development, with a special focus on competitiveness and social cohesion. 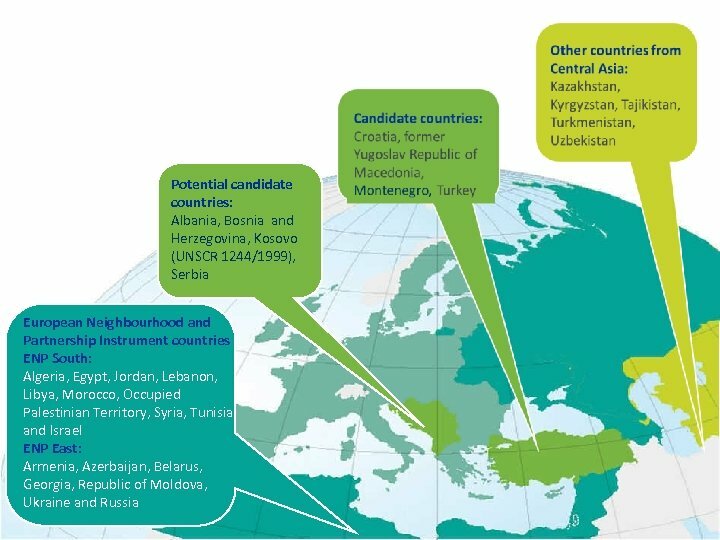 § Mission To help transition and developing countries to harness the potential of their human capital through the reform of education, training and labour market systems in the context of the EU’s external relations policy. 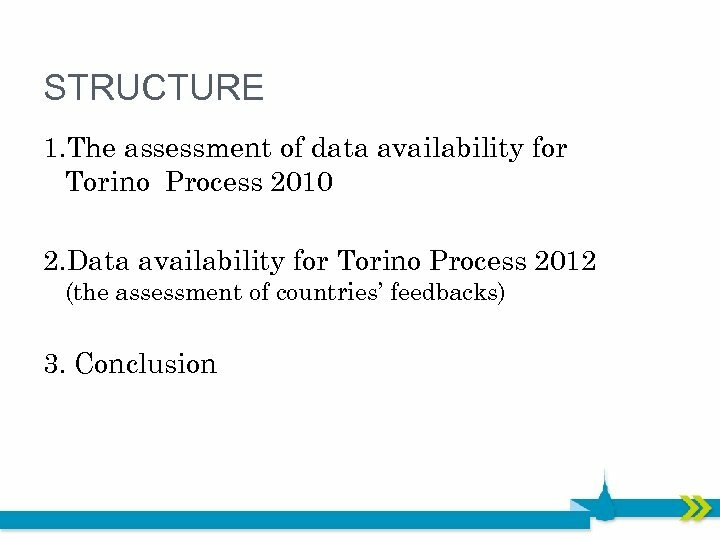 TORINO PROCESS 2012 – STATISTICAL COMPONENT Goals: • To collect a restricted list of indicators with basic data on labour market, education and socioeconomic context; • To reflect the ‘real’ data availability and gaps; • To reflect on ‘how’ to overcome the gaps and enhance mutual learning and cooperation. 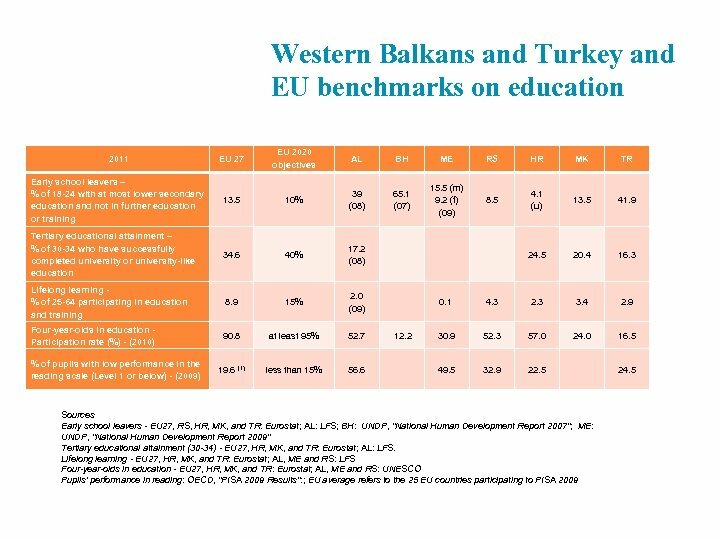 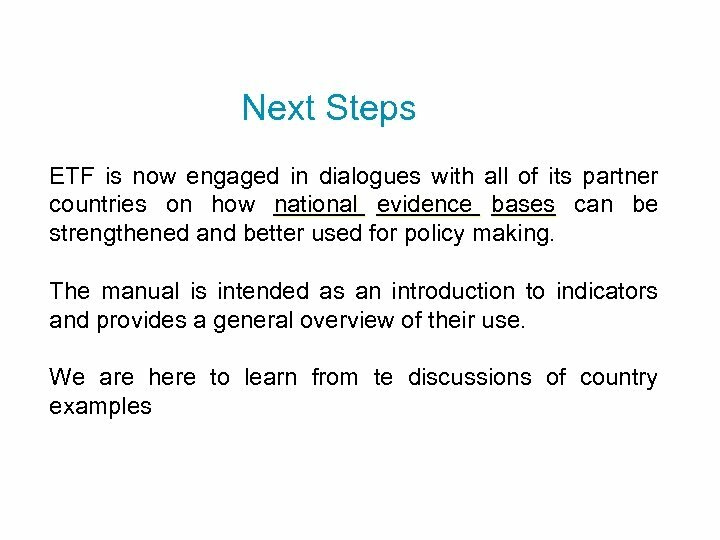 TORINO PROCESS 2012 – FEEDBACK FROM COUNTRIES – URKEY T STRONG POINTS • During TP 2010 and 2012 data collections, detailed data on both education and labour market found (no significant gaps). 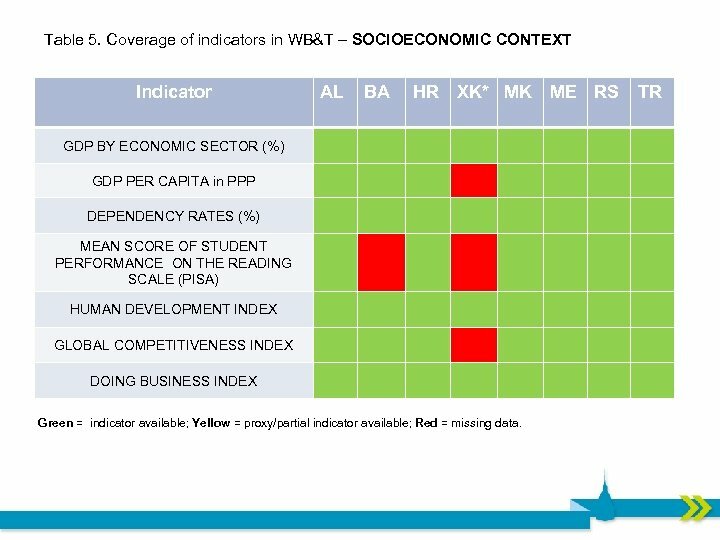 • The data availability overview received from the country confirms such a panorama. 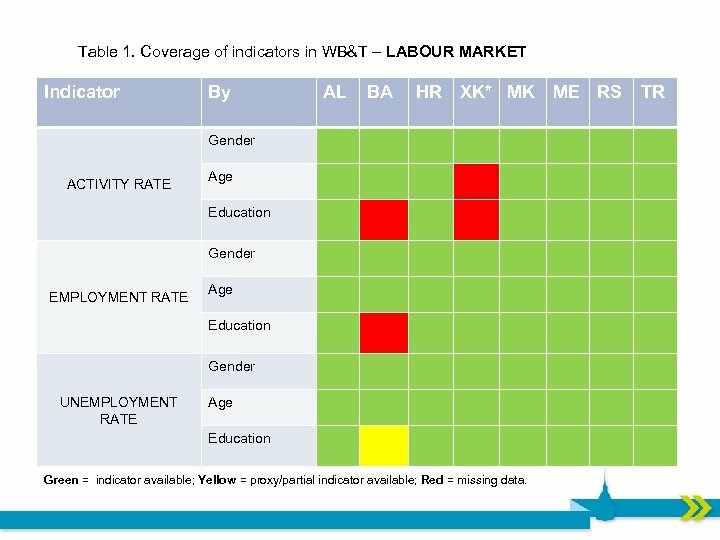 TORINO PROCESS 2012 – FEEDBACK FROM COUNTRIES – ERBIA S STRONG POINTS • During TP 2010 and 2012 data collections, we obtained a quite good coverage of data for both education and labour market (no significant gaps). 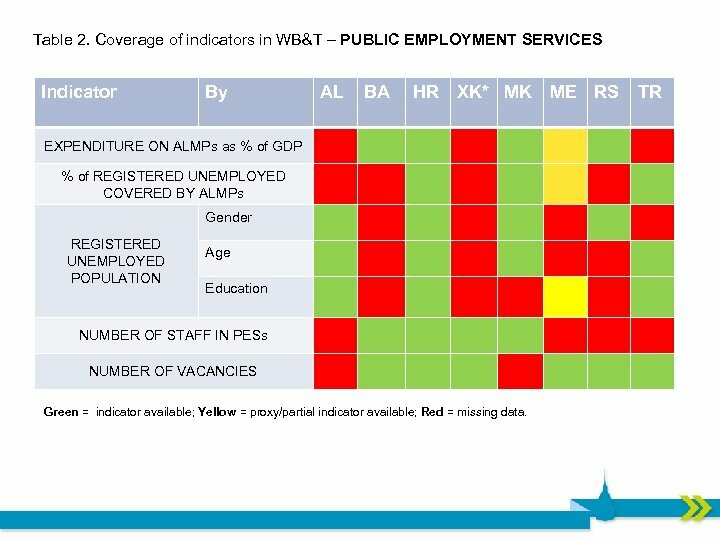 • Data availability received from the country confirms such a panorama. 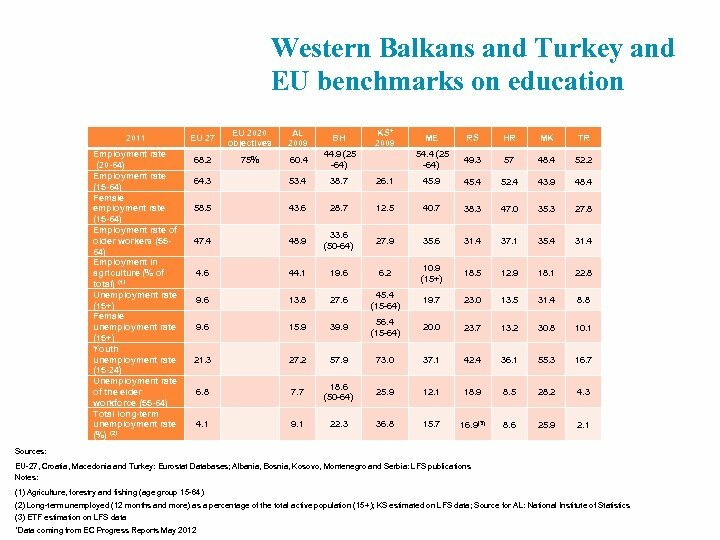 According to the country feedback: • LM data are often available also by education level; • there a lot of data for education; • data are updated (usually they refer to 2010). 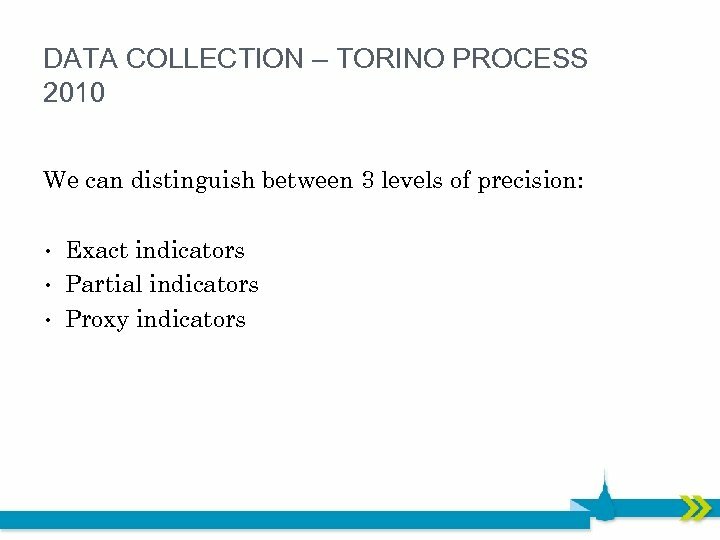 TORINO PROCESS 2012 – FEEDBACK FROM COUNTRIES – LBANIA A STRONG POINTS • During the TP 2010 and 2012 data collections, detailed, but not updated, information on labour market and socio-demographic characteristics were found. 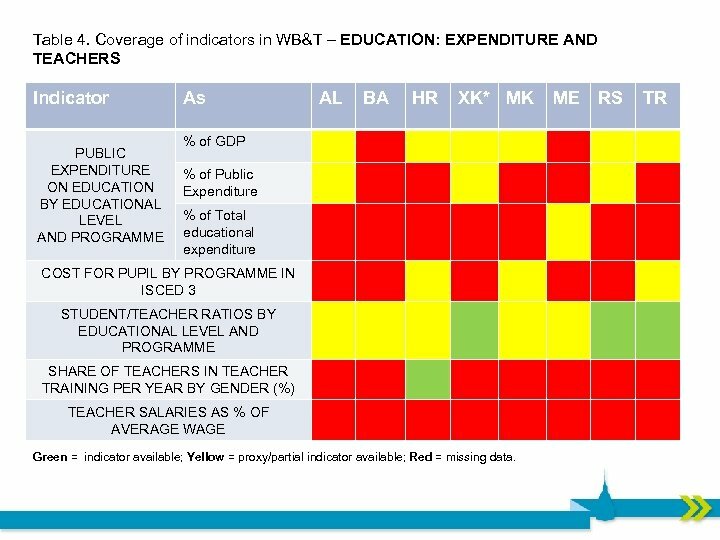 • Education data available (i. e. expenditure on education), although some gaps were identified. 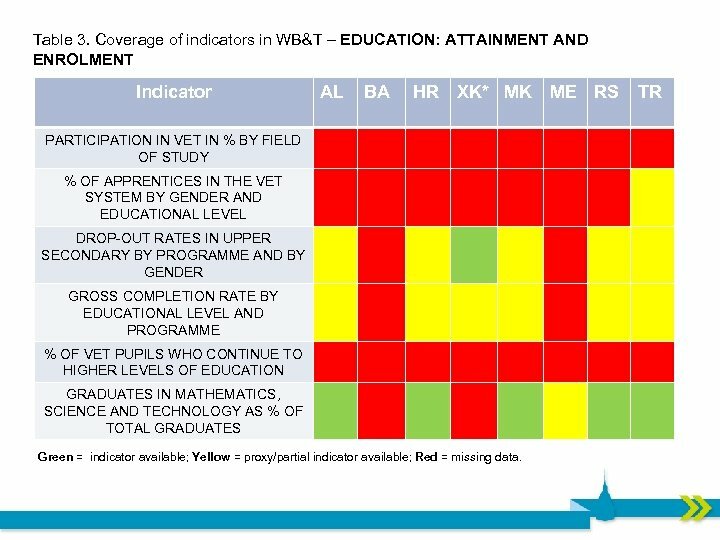 CONCLUSION • More data available than reflected in Torino Process 2010, especially in the field of education; • Gaps still exist – especially for detailed data on VET and adult education; • Sometimes, data are not regularly updated; • Comparability issues – different education classifications are used. 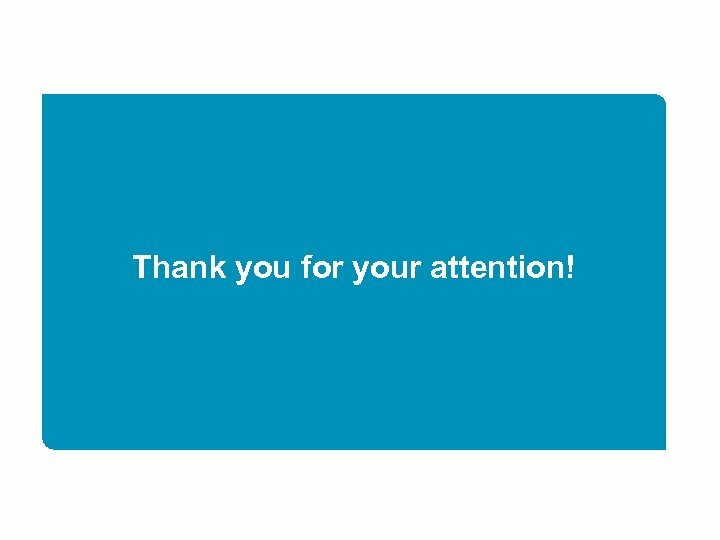 CONCLUSION – REMAINING QUESTIONS • How to improve the data availability? 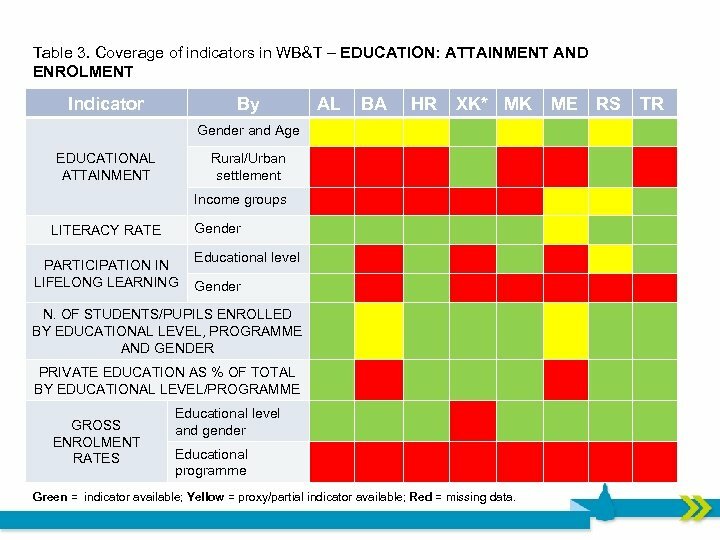 • How can the education data which exist in the countries be better used? 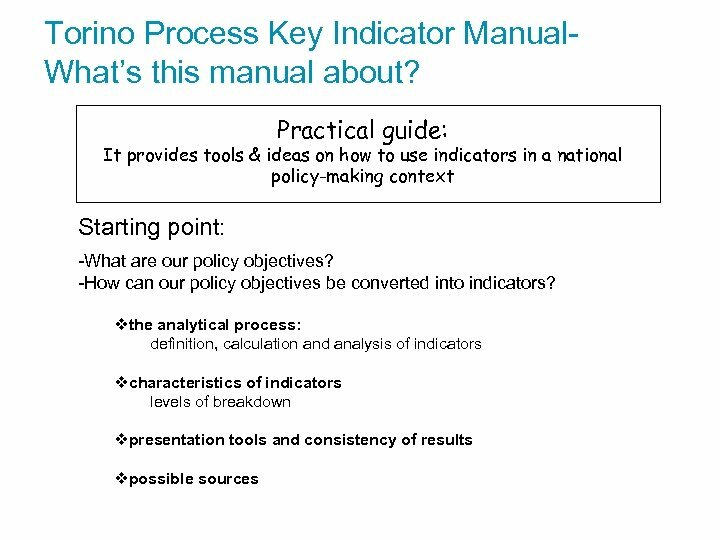 • How to improve the data sharing among institutions? 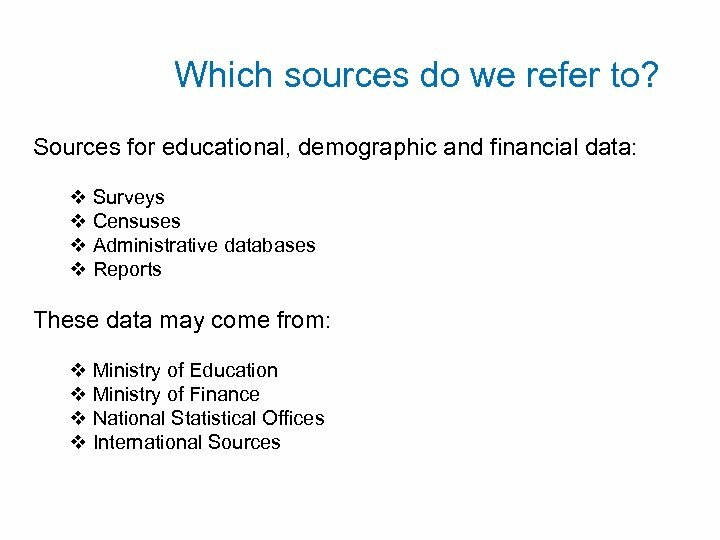 • How to learn from each other and cooperate with regard to the data availability?